Award winning South African photographer Pieter Hugo, with his fascination of those who occupy the social margins and peripheries, brings us Permanent Error. An investigation of Ghana’s digital dumping ground, a barren stretch of toxic wasteland known as Agbogbloshie, reveals the resilience of its workers who return our gaze with a quiet strength, much like the docility of its cattle inhabitants. The subjects tenacity is juxtaposed against the backdrop of a smoke filled space of obsolete destruction and contamination resulting from the global shipping of millions of tonnes of digital refuse. Atop mountains of flaming motherboards, the subjects maintain a posture of confidence and dignity which make for a series of starkly powerful images. 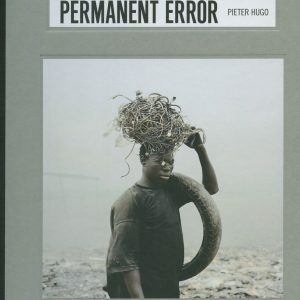 A special edition of Permanent Error accompanies our current exhibition, Thirteen Works, which showcases a selection of Hugo’s oeuvre, on show until August 21st, 2016.